In Gracefield, Québec, three couples looking to spend a long weekend in a luxurious cabin receive an uninvited guest after a meteorite lands nearby. 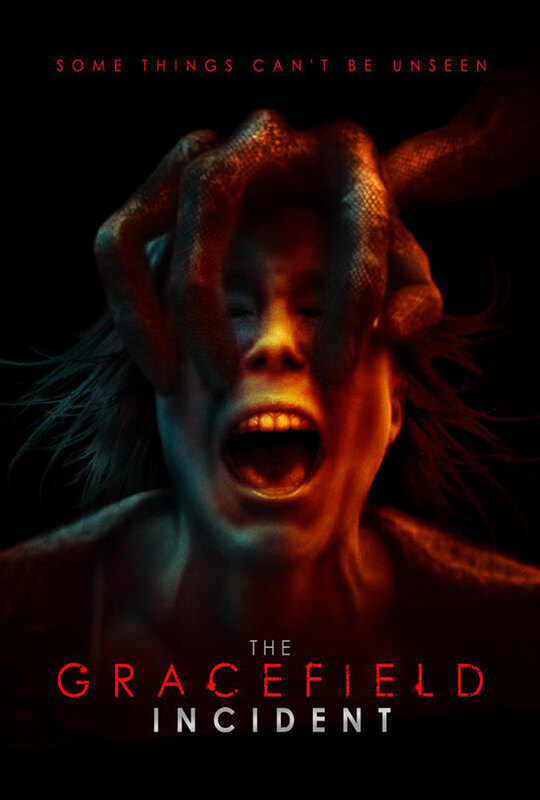 The Gracefield Incident is a found footage alien flick from writer and freshman feature-length director Mathieu Ratthe, who also stars in the movie. Part Signs (2002) and part The Blair Witch Project (1999), The Gracefield Incident attempts to use indie film-making techniques to create a tense and emotionally resonant sci-fi horror film, and succeeds in half-measures. Mathieu Ratthe wears a lot of hats here, helming the director’s chair, scriptwriter’s role, and also the lead spot as young husband Mathew Donovan. 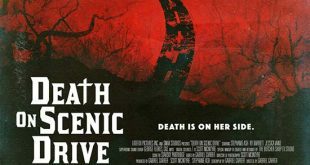 Ratthe has established himself as a solid figure in quality low-budget horror circles with his short films, most notably with Pretty Wicked (2011) and the short film adaptation of Stephen King and Peter Straub’s much-beloved novel The Talisman in 2008. Those shorts have charm, cleverness, and well-placed effects, and easily outpace the vast majority of young filmmaking attempts that flood the festival circuit each year. 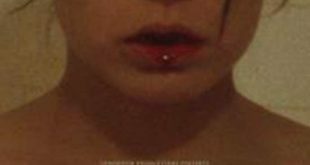 However, where the editing and pacing of Ratthe’s shorts are positives, they are The Gracefield Incident’s main detractions. 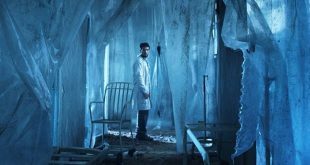 The film begins when Donovan and his near-delivery wife Jessica (Kimberly Laferriere, White Night 2017, Winter Lily) get into a car accident, causing Jessica to miscarry and Mathew to lose an eye. Fast forward a year, and Mathew has managed to shove a cellphone camera into his glass eye. Once he’s got it in place, the pair set off for a long weekend in the woods of Gracefield. Tagging along are fellow couples Joe (Victor Andres Turgeon-Trelles, The Wild Hunt 2009) and Liz (Laurence Dauphinais, Le bonheur des autres 2011, Cabotins), and Jessica’s little brother Trey (Alex C. Nachi, Stonewall 2015) and his girlfriend Julia (Juliette Gosselin, Martyrs 2008, Boost 2017). The entire film is presented in handy-cam style, with the video and audio having been captured via Mathew’s eye-camera, a camcorder Joe brought, and several of the group’s cellphones. The cinematography is crisp and well-framed, and the multi-camera approach to the found footage genre is both welcome and smart, given everyone’s attachment to camera-phones these days. 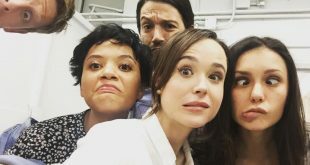 The audio, too, is clear and professional, and even with the cast’s accented English and hushed tones, I never had to bend my ear too hard to know what was happening. The cast performs admirably despite heavy French accents, emoting effectively in English; this, as any who’ve acted outside their primary language know, is worthy of high accolades. 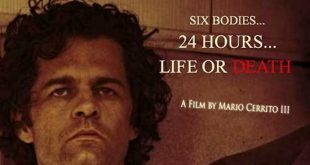 Ratthe shows he has solid acting chops to accompany his behind the camera skills, and the scene where he breaks down in front of Laferriere’s character is a refreshingly realistic moment of emotion from a male lead. Laferriere, in her role as the wife eager to move beyond the memory of a lost child, provides the strongest performance, with Turgeon-Trelles also coming off well, despite one-too-many scenes of his character acting incredulous in the face of facts. Gosselin comes up short compared to the rest, though much of it may be due to her limited screen time and the shallowness of her character, who seems to exist for the sole purpose of stripping to a thong. The plot, while nothing particularly new to the alien-visitor stable of tropes, has some nice touches in the final quarter that will have viewers giving a silent well done nod at their screens. The graphics on the creature, so often the downfall of the independent creature-feature, are actually quite marvelous, save for one very unfortunate medium shot that shows clearly non-motion captured CGI movement, which should’ve been left on the cutting room floor. 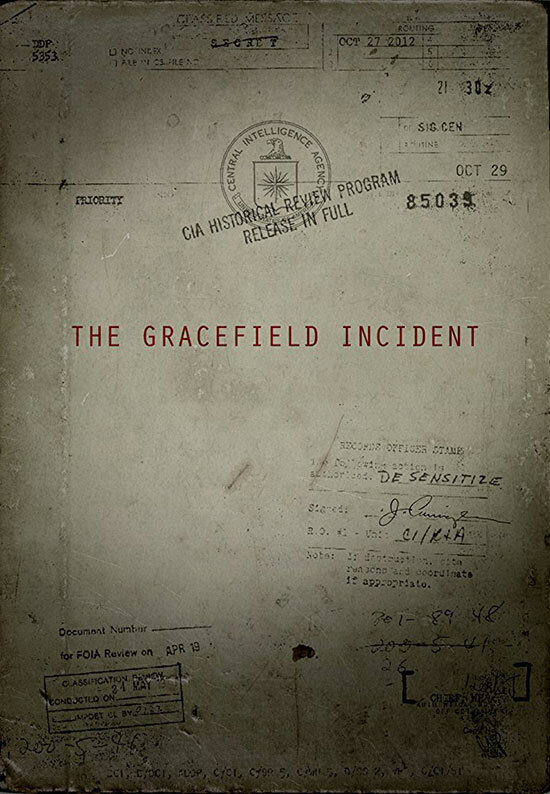 Where The Gracefield Incident fails is in its pacing. Whether due to padding for time or hedonistic attachment, Ratthe has fallen into the trap that catches so many creatives—a lack of self-editing. The first half hour of the film should have been condensed into literally three minutes. The opening credits spend at least that much time showing Mathew building his eye-camera, which is a neat but unimportant detail. Likewise, alien shots and minutes on end of stumbling through dark (or day-for-night vision) forests are overlong. The film could’ve really used an editor other than Ratthe himself (who cut the whole film) to make those difficult chops with the benefit of an unattached eye. 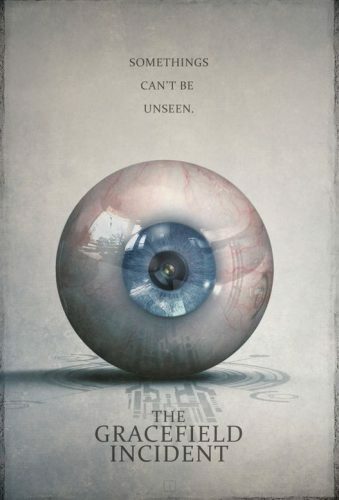 Still, The Gracefield Incident is an interesting addition to up-and-coming horror maker Mathieu Ratthe’s resume, and those in search of that rare alien tale that looms closer to horror than science fiction should give the flick a watch. Hopefully Ratthe will continue to hone his directing chops to the level of his writing; when they match up, we’re all in for a real treat.